The craft to make this metal has long been lost with the Aradani Kingdom, but some weapons and artifacts still survive from those times. Things forged with this metal were often made to battle the forces of the Warlock King and to this day hold power against the forces aligned with evil. It is a dull grey blue in color, but some swear that it glows in the presence of true evil. If stories hold true, Aradan Steel is especially effective against creatures summoned from the Navirim. * Aradan Steel does not affect spellcasting as iron or steel does. 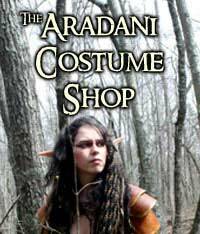 A spellcaster can be touching or carrying Aradan Steel and not be damaged during magic use. Normal armor restrictions do apply. All amarnium items are considered masterwork.